My wife and I recently took a trip which may interest you. We were outdoors almost all day, rain or shine. We didn’t wear shoes for a week, and I was often without a shirt. We swam in the ocean, got tan, and star gazed every night far from light pollution. We worked hard physically every day, but it was never “exercise.” Sound like a MovNat retreat yet? 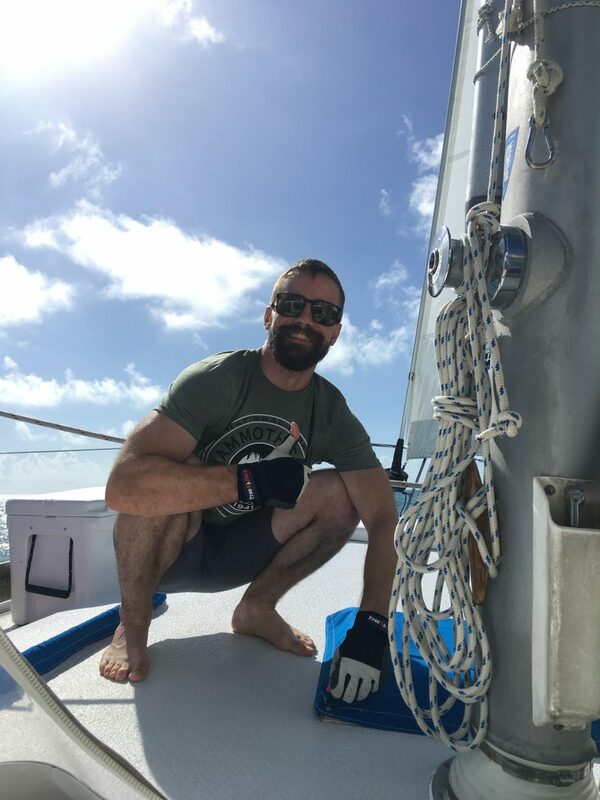 We were sailing for a week in the Florida Keys, and although it wasn’t a MovNat retreat, it was a natural movement retreat, through and through. 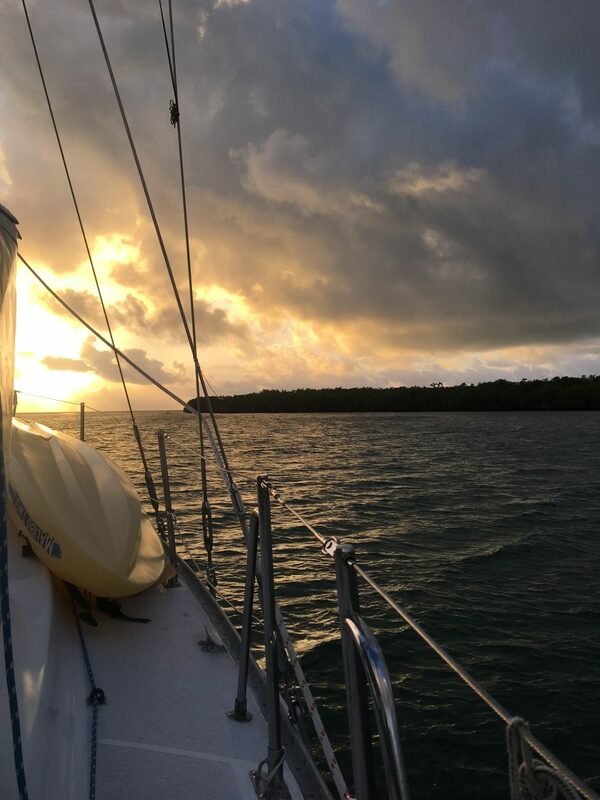 We were aboard the 41 foot ketch Indian Summer II sailing out of Plantation Key, earning our American Sailing Association 101 and 103 certifications. Learning to sail is a lifelong dream of mine, and every day of our trip I ruminated on how movement proficiency can open up possibilities for new experiences and adventures. My wife and I have always been fit, but I was glad to have the skills MovNat taught me aboard the ship as I moved efficiently around lines and masts on a pitching, slippery deck. I was not surprised, either, to remember that Georges Hebert, MovNat’s great grandfather so-to-speak, was a sailor himself. The sea and sailing are demanding and unforgiving, and they forge, and test, great movers. Sailboats can be dangerous places. Booms swing across the cockpit as you turn through the wind. Lines can tangle at your feet. The deck pitches and heels, regardless if you’re prepared or not. MovNat prepares you to move there, as anywhere else. On a basic level, skills such as stepping over and under, squatting, crawling, balance, and climbing are essential to perform the duties required to crew a sailboat. The physical qualities MovNat engenders are important as well: grip strength for trimming sails, the posterior chain strength needed to hoist the mainsail or furl the jib, the endurance and toughness to work all day in the elements. Finally, the mindfulness MovNat teaches is essential. As I mentioned, sailing can be dangerous, and you must keep your attention on the task at hand lest you risk taking an accidental jibe and a boom to the head. Maybe your dream isn’t to be a sailor, maybe it’s to explore some other fantastic wilderness, or travel to foreign lands, or maybe you simply want to play with your kids in the park. Maybe you haven’t thought of all the possibilities that await you if you have the physical capabilities to make them a reality. As a physical therapist, my goal is to remove the physical barriers that keep people from living the life they want to live; MovNat shares that goal. A life of adventure, whatever adventure you choose, is out there waiting, and the skills you learn through MovNat can bring it that much closer. 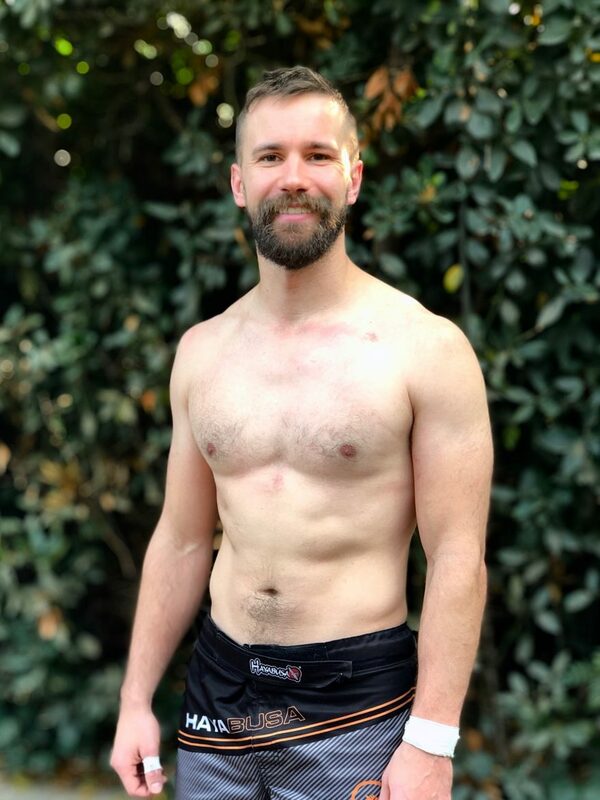 Cole Thornton is a doctor of physical therapy at a level 1 trauma center in California and a lover of physical culture. He began training MovNat while working as an EMT, and saw the immediate benefit of training natural movement skills. When he isn’t getting his patients up and moving he is probably submission wrestling, climbing, swinging a kettlebell, or rolling around on the ground like a kid. His job would be a lot easier if everyone had a little MovNat in their lives.